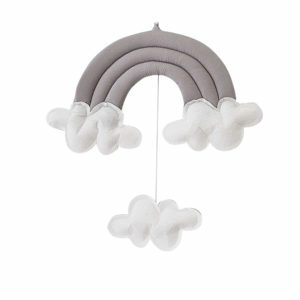 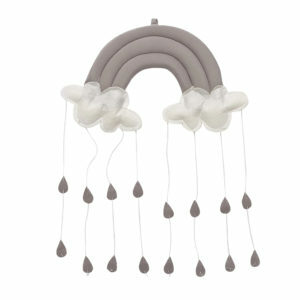 Moocachoo Mobiles - Add a fun decor piece to a nursery or kids room. 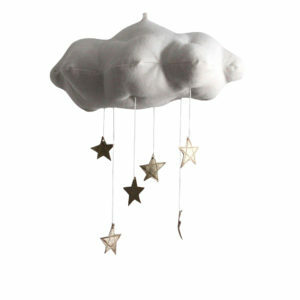 Mobiles add a fun decor piece to a nursery or kids room. 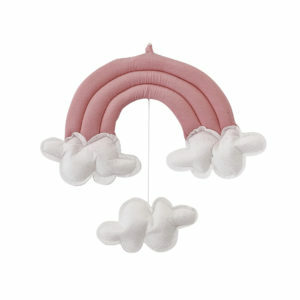 Hung above a changing station in a nursery or above the crib can provide entertainment for baby It also looks lovely inside a Moo Cachoo Hanging Tent Canopy. 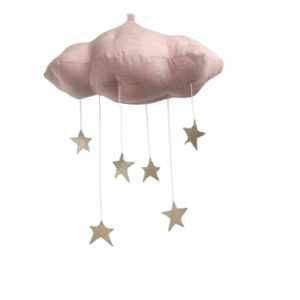 Size: 35cm x 20cm Pastel Pink fabric cloud with gold stars and moon suspending down.